A new Quebec government website advises motorists what measures they should take to safely share the road with cyclists. However, the Société de l’assurance automobile du Québec website respectonsnosdistances.gouv.qc.ca/is only in French. As The Suburban reported recently, Quebec’s language law generally allows for bilingualism where safety is involved, and numerous Quebec government websites have information in English. The site points out the rules of the road for motorists, such as a driver being able to pass a cyclist on the same lane as long as the driver reduces his or her speed, and stays the required distance away from the cyclist. The French-only status of the site was pointed out to us by Côte St. Luc councillor Glenn Nashen, who has called for other municipal and provincial-related websites to contain English content as well. Hampstead lawyer Harold Staviss, who has lobbied with Côte St. Luc councillor Ruth Kovac for more bilingualism from businesses and government in areas with significant anglophone populations, wrote to D’Arcy McGee MNA David Birnbaum about the website and a recent French-only June 29 communiqué, also about safety on the road between drivers and cyclists, as well as an announcement of tougher punishments for drivers who open doors on passing cyclists. Birnbaum told The Suburban Monday he was not able to convince Transports Quebec to issue an English version of the June 29 communiqué, and expressed his disappointment. Birnbaum added that he was only made aware of Staviss’s objection to the new website Monday, and was not able to comment yet. 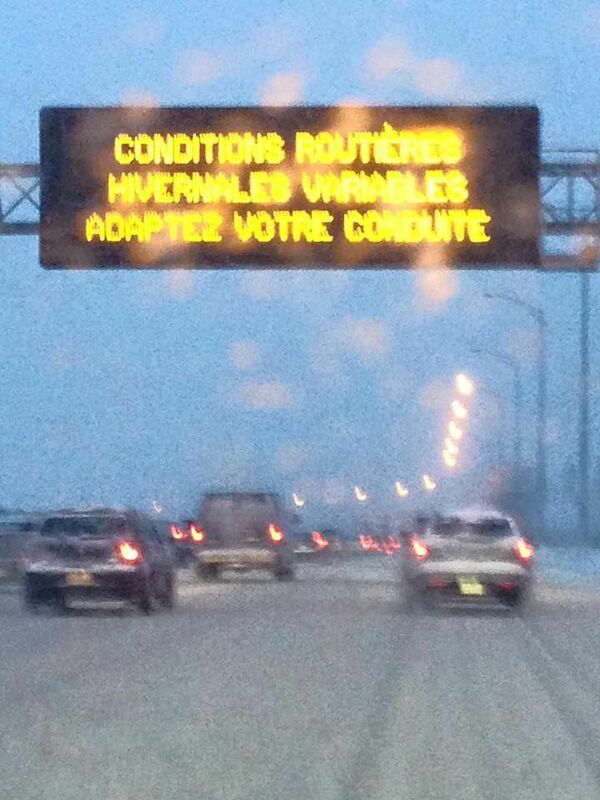 We have contacted Transports Quebec, and await their response. In my opinion: Thanks to MNA David Birnbaum and his trusty Chief of Staff, Elisabeth Prass. They wasted no time following up on my email to them wherein I expressed concern and dismay that the Quebec Transport Department did not seem to think this very important safety message was important to convey to the English-speaking community. The oppressive language laws do indeed permit public safety messages to be carried in a language other than French. Transport officials should be more in line with Premier Couillard’s election message to the English-speaking community that we are not the enemy and our language does not diminish the French language. The longstanding and very successful campaign by Hampstead lawyer Harold Staviss and Côte St. Luc councillor Ruth Kovac, along with activist Murray Levine and Côte St. Luc councillor Glenn Nashen, to ensure anglophone Montrealers are treated with respect has garnered a lot of support. So have recent previous battles against the Payette Plan and Bill 14 led by this paper, it editor Beryl Wajsman and organizations like CRITIQ. Staviss, Kovac and their cohorts are all lobbying companies and government institutions who deal with communities that have significant or majority anglophone populations to provide services in English as well as French, all in conformity with Quebec’s language laws. The successes have included Subway, the Montreal fire department’s website; Westmount in changing their unilingual French parking signs (however slowly), Costco, Second Cup, Cineplex, Toys R Us, Winners, and McDonald’s. The website providing information on the Turcot reconstruction was also bilingualized, after we revealed that it was French-only and thanks to lobbying by D’Arcy McGee MNA David Birnbaum. Those who are campaigning for respect have pretty modest goals. None are calling for the repealing of Bill 101, which would be a political scalding and burnt potato —at the very least— in this province. And this is from some anglophones and allophones. Some seem infected with the same political correctness of the so-called anglo “lamb lobby” of 20 years ago, who fretted about francophone press reaction to any quest for rights. Others are self-proclaimed protectors of the French fact in Quebec. Another group is the younger “hipper than thou” crowd who were in diapers when the hard fought battles to ensure language rights were taken to the Supreme Court, and even the United Nations. Propose offering service and signage in French only to Côte St. Luc, Hampstead and Montreal West council, and prepare to be laughed out of the room. And it’s not even that easy for some cities to be officially recognized as bilingual. At the time of the mergers in the early 2000s, the PQ government changed the rules. Instead of the language most used by residents, the criteria became mother tongue. This prevented the Côte des Neiges-NDG borough from having the possibility of being designated bilingual. I remember when it was pointed out at the time, on several occasions, that someone like CJAD host Tommy Schnurmacher, who was born in Hungary, would not be recognized as anglophone for the purposes of a city’s bilingualism designation. One of many absurdities we experience here. And yet, there are some out there who are utterly dismissive of even the most modest attempts at ensuring the rights of anglophones. Learn French? What about learning respect and the meaning of principle? When it comes to staying power you’ve got to give credit to Cote Saint-Luc Councillor Ruth Kovac and Hampstead lawyer Harold Staviss. These two, a veritable dynamic duo, don’t take “non” for an answer. Their fight, seeking respect, and justice, for Quebec’s embattled English-speaking community, is praiseworthy. As noted in yesterday’s edition of La Presse as well as on CTV News the two advocates have had impressive successes in standing up for rights and respect to some of the biggest retailers and businesses in this country. While they push forward in the business world, I continue to seek visibility of English among the Quebec government’s departments such as the Quebec Police Force, Hydro Quebec, Transport Quebec and Urgences santé, as well as the City of Montreal’s administration, as permitted under the repressive language laws. As the former executive Director of Alliance Quebec, the once mighty English language rights lobby, I am greatly appreciative of those that have continued to battle for what is right, fair and just. Kovac and Staviss have done just that along with the support of the Suburban Newspaper’s Joel Goldenberg and Beryl Wajsman. I thank them and encourage them to persevere. Justice will prevail in the end. Unfortunately, in Quebec, it takes a long, long, long time.